I’ve worked in service industries my entire career. Started out with waiter jobs during school and university. Learned to smile convincingly while serving hot plates that were burning my fingers. The thing I learned from those jobs was the importance of good feedback, resulting in whether I would see those customers again or not, whether they would ask for me or be happy with anybody. More importantly, would I get a tip that enabled me to buy beer on a student’s income? Post degree, I progressed into professional jobs with more interesting appellations, such as stockbroker, private client advisor, with letters appearing after my name on a business card instead of simply a nametag. I found that these jobs, and indeed every job in every industry in the world, lives and breathes by that same concept of feedback. What do the clients really think of your performance? When I recently joined Select Resumes, one of the tasks I was given was to collate all the feedback from clients. I know from years of experience that customer feedback is gold. When customers say they’ve had a good experience, or actually take the time to write in and thank somebody in particular…wow. 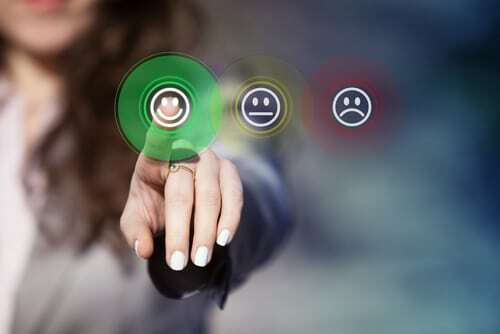 70% of buying experiences are based on how the customer feels they are being treated, and Select Resumes comes out with a satisfaction rating of 99%! In the industry I have come from, they spend millions of marketing dollars every year and don’t even come close to those kind of numbers. The feedback! I was blown away. You could practically feel the gratitude. I had worked in jobs where in one day, I managed to make a 1000% return on investment for a client (a career highlight) and didn’t even receive the same kind of heartfelt thanks I was seeing from the clients of Select Resumes. So, here are my four favorites from the hundreds I looked at. Just writing to let you know that with your handy work, I have applied for 6 jobs and ta da!!!! I have received an invitation to attend an interview tomorrow. Hi Ashley, I went for my third job interview today and got all three jobs but I think I will accept this one! They commented on how awesome the Resume and Portfolio was, I thought I would let you know as the company that I was being interviewed by also do CV and Portfolio building for Nurses! So, I felt it was more of a compliment coming from them! Starting with a company that has a 99% customer satisfaction rating and takes pride in their standard of excellence. What a welcome, refreshing and enjoyable job.